Building Better Basements.™ That’s our promise. And when it comes to completely finishing your basement, we continue to evolve the program, process, products, and people we have in place to ensure we fulfill that promise. We call this our Smart Basements™ approach. We meet with you at your home, where we will tour your basement and discuss your needs. Our sales team is more than just that. 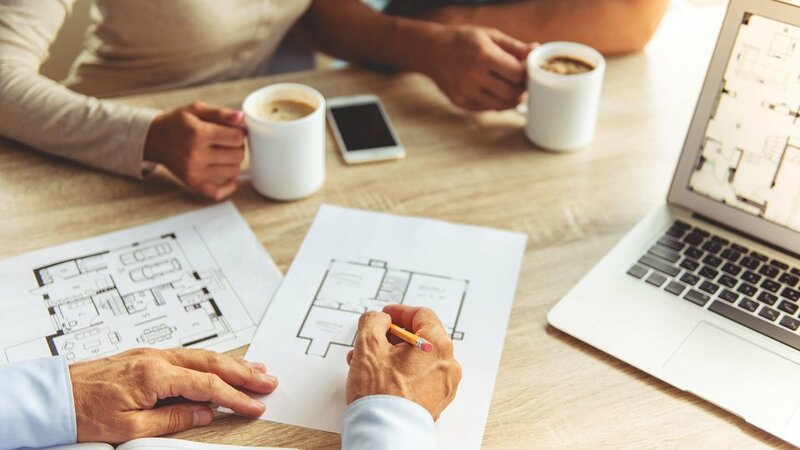 They are trained in building codes, design and estimation and in many cases they can provide you with a very real estimate on the spot, with no hidden fees or surprises to come later. 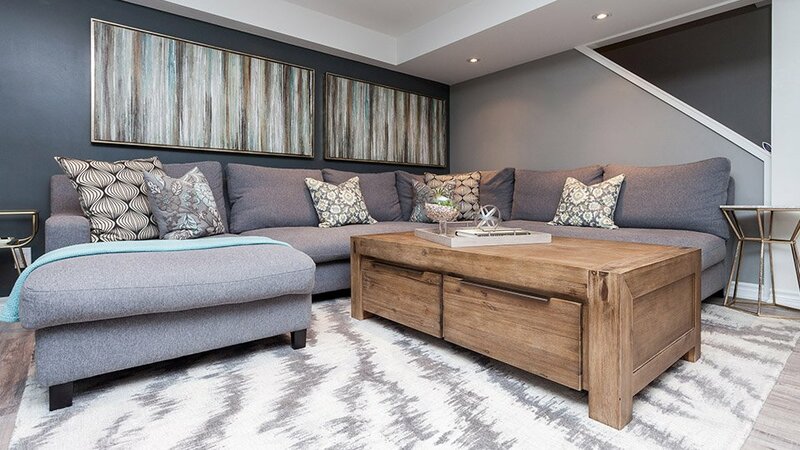 In every case, we also encourage you to consult with and get quotes from at least two other basement renovation companies. 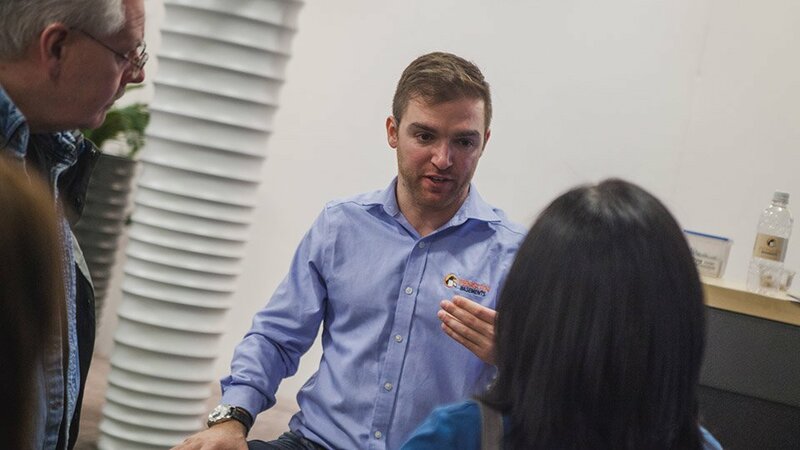 You need to evaluate who you want to work with, and frankly we want to do the same. Once you choose the design that is right for your family or investment, we will put together a build proposal. The proposal will include an itemized breakdown accompanied by a detailed description. You will be able to review our standard payment structure and budget-friendly payments options as well. We will be glad to email you the design, scope of work and agreement details with your project. We inspect the space, make sure what you desire is feasible. We review structural, grade, plumbing, mechanical, and clearance allowances before suggesting a design. At Penguin Basements formulating a design that ensures that your basement environment is a safe, warm place is our priority. If the space requires any specialty trades to ensure the basement is ready for construction, we will suggest that in advance. In most cases, our Design Consultants can estimate a range of costs at the first sitting. The right build always begins with a professional design. Our design consultants are well-versed at creating clever concepts to maximize the space, ceiling height, light and overall look and feel of any basement. 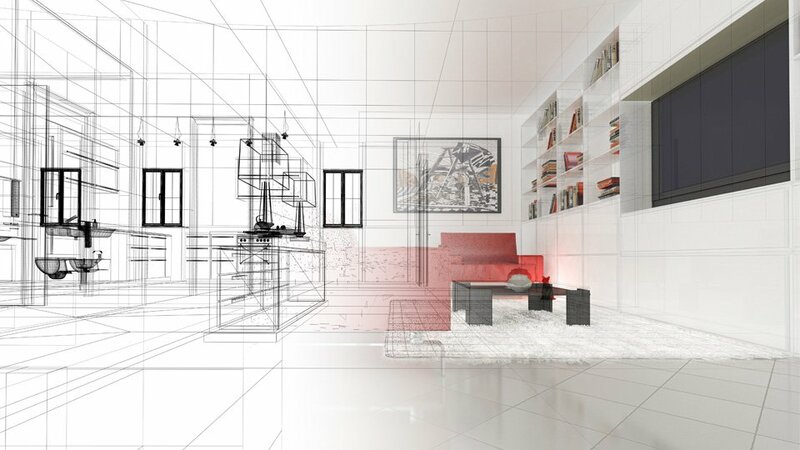 Our design consultants will create up to 3 unique concepts inclusive of a 3D virtual view tour to help you easily envision your space with the floor, walls, furniture, and fixtures all included. We welcome all of your ideas, imagination in the process because we look forward to creating the perfect space together. At this stage, we will invite you to our design center. Here you are able to select the perfect fixtures and finishes that will compliment your design. There will be no need to travel to big box store to hunt for the perfect finish, as we have hundreds of selection options that you are sure to fall in love with. If you do want to supply your own finishes, we welcome you to do so, as well. We just ask that you have them ready and on-site at the start of the project! We’ve created a one-stop design shop to help our customers get the very best in quality finishes in a design that will compliment the entire basement. Track Your Build. We create a customer portal where you can track the progress of your build, review and respond to contractor notes, ask questions and review pictures. It a great way for you to get involved with the build without getting covered in dust. And speaking of dust, we will do our best to create a sealed environment to keep dust contamination in the rest of the home to a minimum. However, if you have allergies to dust, may we suggest you remove yourself from the home during the heavy construction phase. For a moderate cost, we can arrange a post-build duct cleaning to ensure the rest of your home stays as fresh as your new basement. 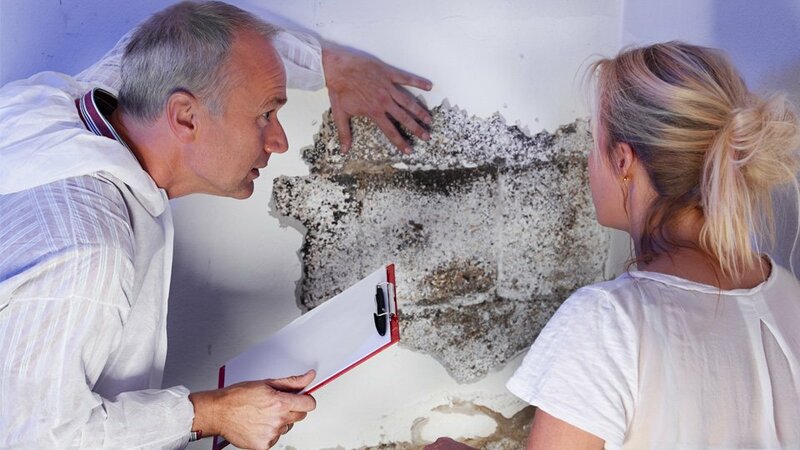 As a subterranean environment, your basement is subject to an issue that most of the home is not. Dampness. That’s why we were the first in the industry to adopt Magnesium as a wallboard ideally suited to combat mold and mildew in the basement. We’ve now moved on, leading the industry again, by utilizing wall board that provides unparalleled resistance to mold, moisture, scratches and dents. Not only that, it can even reduce the noise you hear between rooms. Our board is naturally fire resistant, GREENGUARD Indoor Air Quality Certified® and it can help reduce the noise you hear between rooms. And as always, we secure the boards to mold-free metal studs. For years, Builders had been using sub-standard drywall to quickly build walls in homes — above and below grade. But as a basement specialist, the board we use must confirm to a higher standard, while being easier to work with and finish — flawlessly. When something better comes along, we’ll move to that so our customers can always breathe easy. As you would expect, we stand unconditionally behind our products and service. As BILD members we offer a Renomark™ recognized 2-year Service Warranty. This becomes valid from the date of your project completion, as outlined in your project completion package. 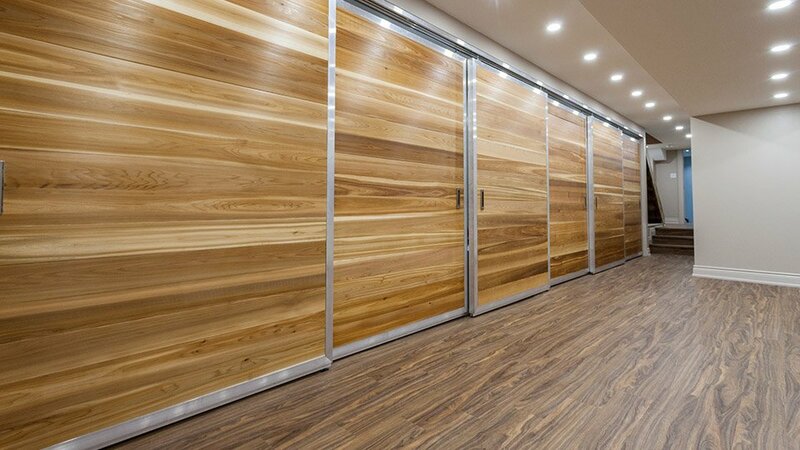 We pride ourselves on building your basement primarily out of mold-free, non-organic materials for the walls and floors that carry a Limited Lifetime Warranty. 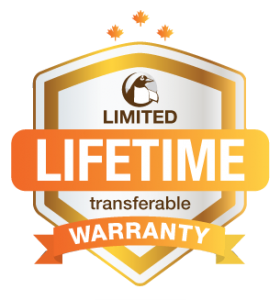 Our warranties are all transferable which helps maximize the resale value of your investment. We want our customers to share the peace of mind that comes from building their basement with durable materials that promote sustainable construction and industry-leading value! Penguin Basements works hard to continuously improve our business. No one is perfect, but we strive to be. And by and large, it pays off with great customer reviews on HomeStars, Google, N49, Facebook and – the ones that really make us smile — the emails and letters we receive thanking our staff members directly. We are also proud to say we have been recognized as an active member in Renomark, a Best of HomeStars Winner, and for the last 3 years in a row, a Consumer’s Choice Award Winner. And we are seeing more and more referral work as we grow. It seems we are doing something right. Whether it’s leading the industry in utilizing basement appropriate inorganic build materials to prevent mold and mildew, or creating a Second Suite calculator to help clients determine if a Second Suite Income Solution works for them to appearing before local council to educate councillors on the need for and why they should support affordable housing, to posting unfinished basement ideas for those not yet ready to finish their own basement, Penguin has been and remains committed to innovation and education. In order to lead the market, we believe you must first serve it. 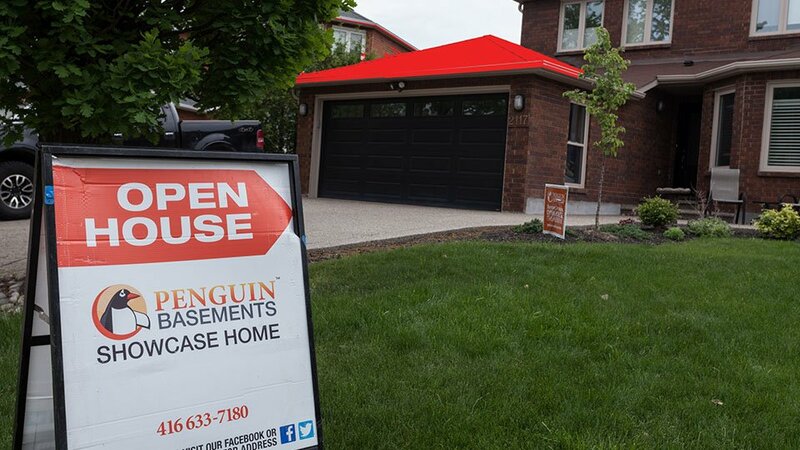 Since our inception, Penguin Basements has actively recruited Showcase-worthy basement builds to host our Open Houses in. Word of mouth may be the best form of marketing, but outside of that, nothing beats inviting the neighbourhood into a local build to see our work up close and in person. Not just a gimmick, but a real opportunity to engage with Penguin Basements in your neighbourhood. Visit our Events Page to find the next Showcase Basement near you. We understand that a basement is a major renovation for most families and investors. To help with that, we offer in-house financing and have some great partnerships with the major banks. Your property’s value will significantly increase with a finished basement, and we make sure to communicate this to lenders. We have helped hundreds of homeowners throughout the GTA achieve monthly payments that meet or beat their lowest lender. You can finance for the short-term with our no interest option for 12 months* or commit to a longer term for as little as a special interest rate. And all our plans offer the benefit of open payments, wherein you can pay down the financing faster with no penalties. Offers and discounts are offered O.A.C. and cannot be combined. Pre-authorized payments may be required, and financing limits may apply. Talk to your Penguin representative for details, and we’ll build the basement of your dreams with affordable monthly payments.